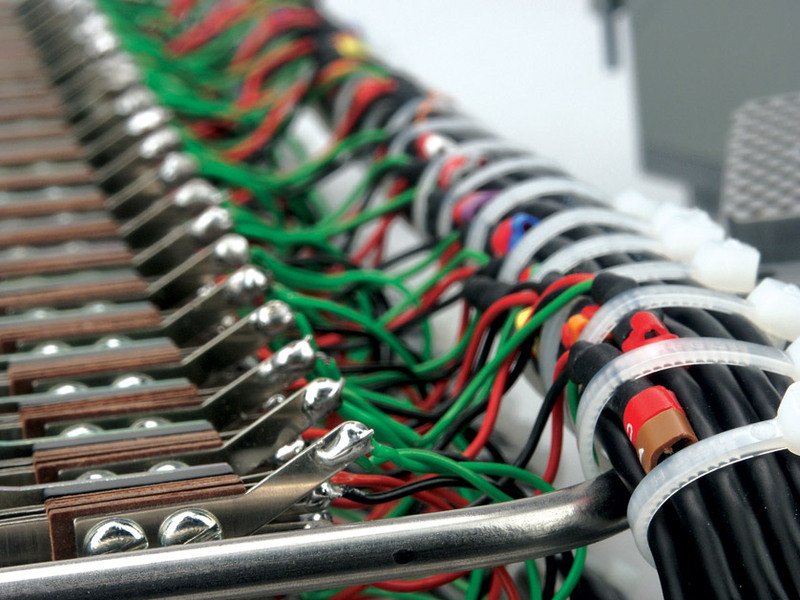 Recognising that stocking cable assemblies in all possible combinations of cable type, connector type, colour and length would be impossible (and in fact being unable to work out how many there would be anyway), Canford offers a cable termination service to cover most customers’ needs. The range of work undertaken by Canford has ranged from making one-off cables to wiring complete studios, and the diversity of client requirements has given our wiring team wide experience. To cater for the growing demand of bespoke cables, two initiatives have been devised. 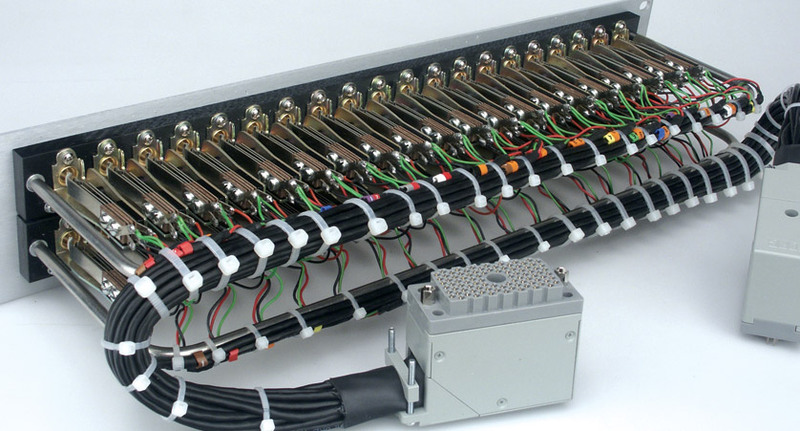 Firstly, a Rapid-Response Cell for cable production was developed to allow both custom and standard cable assemblies to be quickly produced, reducing customer waiting times. Depending on cable type, cable assemblies can now be produced, packed and ready for same day despatch*. 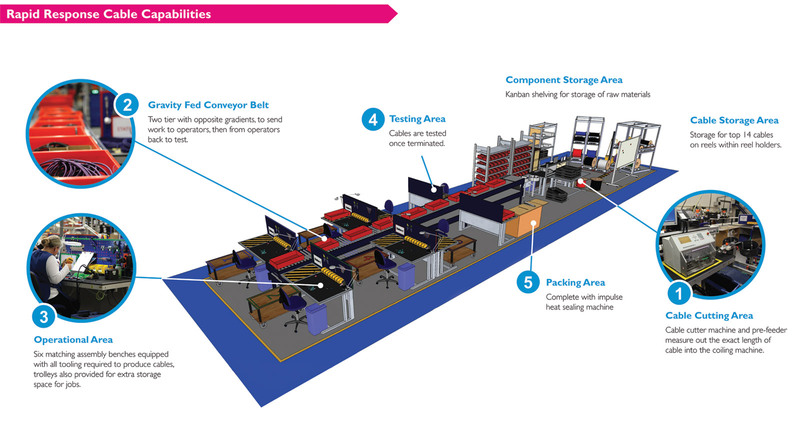 Following this, a significant investment in equipment and staff training was undertaken to create an industry leading, high quality, in-house Fibre Termination Service facility based at Canford's Washington headquarters in the UK. Cables basically similar to our stock ‘standard’ types, but in non standard lengths, colours, connector combinations etc. A short lead-time service for the termination of LEMO SMPTE, Neutrik opticalCON and other fibre connectors. We keep substantial stocks of fibre optic cables, connectors and interfaces for same-day despatch and to provide an industry leading, rapid custom termination service for applications where speed is of the essence. Various types of multicore cables can be terminated to multipole connectors, stage boxes or individual connectors. Associated metalwork for fixing glands, connectors, or even custom stageboxes can also be undertaken. Termination to Fischer or Lemo connectors is offered. 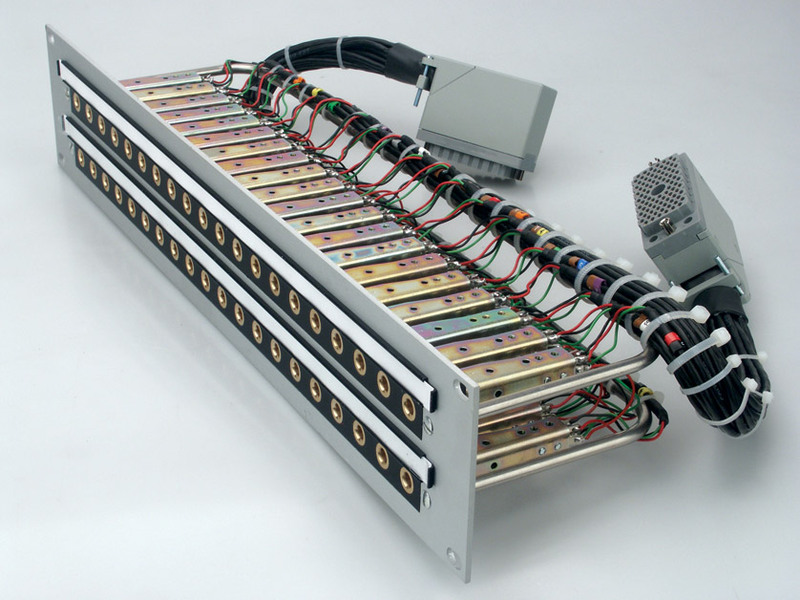 The assembly and wiring of sub-assemblies through to completely wired racks is also offered. For custom services, pricing is by quotation if the job can be detailed and scheduled before commencing. In cases where it is not possible to predict all the requirements, jobs can be undertaken on the basis of a quoted hourly rate. In most cases we prefer the customer to specify what is required in detail with (rough) drawings if possible. Where the client wishes, we will offer advice based on previous experience where appropriate. Advice or suggestions in such circumstances is free. Consultancy services, where we are required to specify the job and prepare wiring schedules, are available by quotation. Orders for cable termination can be accepted over the telephone, but work cannot proceed until written confirmation giving full details is received (by email, fax or post). Clients should carefully specify their requirements for pin connections, particularly where connectors used are not those shown above. *Same day despatch when you order before 12pm. Subject to stock holding of non-standard cables and connectors. Appropriate lead time required for large project orders. A standard £8.00 delivery charge will be applied to all orders below £100.00, otherwise carriage is free.